The "posing movie star" figure, subject of numerous Dial works on paper, acknowledges woman's ability to use her physical attributes as a form of power. The "posing movie star" figure, subject of numerous Dial works on paper, acknowledges woman's ability to use her physical attributes as a form of power. 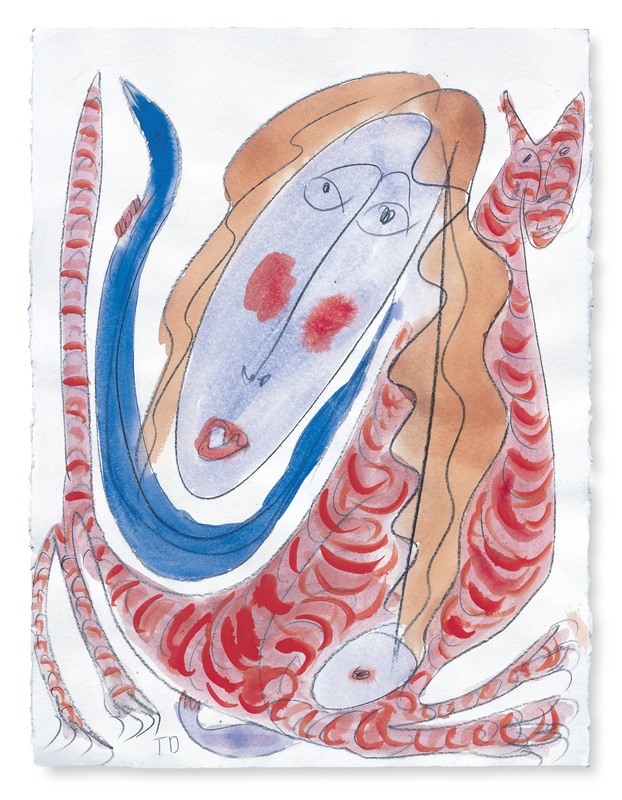 The woman in this work holds a blue bird and a large-chested red tiger. A favorite Dial theme—that the American woman's primary goal is the achievement of equality—is thus reiterated.